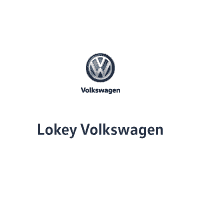 At Lokey Volkswagen, we’re dedicated to earning your business again and again. The first time you walk through our doors could be to browse our selection of used cars. Or, perhaps you’ll stop by to trade an older model for a brand new Volkswagen vehicle. Our sales staff and our auto financing team have the bar set at the top rung every time, so you can count on finding a loan or lease option that puts the Volkswagen Jetta, Passat, Beetle, Golf SportWagen or CC of your dreams in your driveway, on your terms. When you’re ready to return to our Clearwater dealership for regular car service and maintenance, we’ll be ready to perform whatever work your vehicle requires. And when you’re in the market for auto parts, we’re ready to assist in whatever D-I-Y projects you have going on under the hood of your car. Finally, after a few years on the road, when you’re ready to start the process up again, you’ll walk right back through those doors to have a few familiar faces help you out. For more information about our full range of services stop into our showroom at 27850 U.S. Highway 19 North Clearwater, Florida and we’d be happy to assist you with all of your automotive needs. Family Owned and Operated since 1952. A Large New and Used Inventory Selection in the Tampa Bay, Clearwater area. Free Oil Changes for as long as you own your car.